Philippine National Authorities Director General chief Ronald "Bato" Dela Rosa responded on Senator Franklin Drilon mentions that the head of the PNP acted like a 'kanto boy' when he defended his policemen behind the supposed 'Secret Jail ' in Manila Authorities District Station one. Bato who grew in a poor household in Mindanao confessed that he is among the kanto young boys up until he entered the prominent Philippine Military college. “They can call me a kanto boy, sabi nila kanto boy daw ang aking sagot sa tanong na iyon. Kanto boy, it’s okay with me. They can call me kanto boy. Totoo man talaga, naging kanto boy ako noon. Hindi lang ako nakapasok ng PMA, baka kanto boy ako hanggang ngayon. Okay lang, Call me kanto boy,” said PNP Chief Bato. He stated that Drilon ought to not look down on "kanto boys " or individuals who always hanging in the streets. Bato described that not all 'kanto boys' are bad guys due to the fact that there are also some abundant, rich and educated people like Senator Franklin Drilon that also doing wrong things. The PNP chief likewise said that kanto boys are the one who constantly reacted initially when there's an accidente in the streets. “For all you know mamaya magkakaroon kayo ng vehicular accident diyan, ‘yung kanto boy pa makakasave ng buhay ninyo. 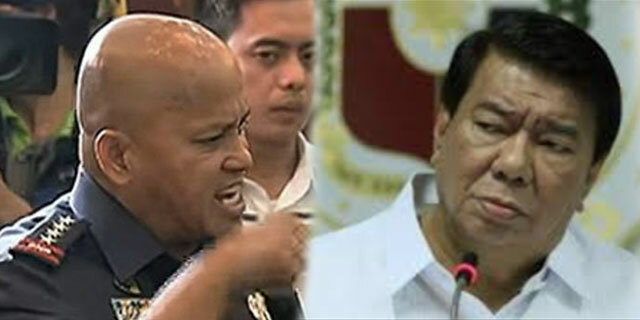 ‘Wag niyong ismolin ang kanto boy,” Dela Rosa added.